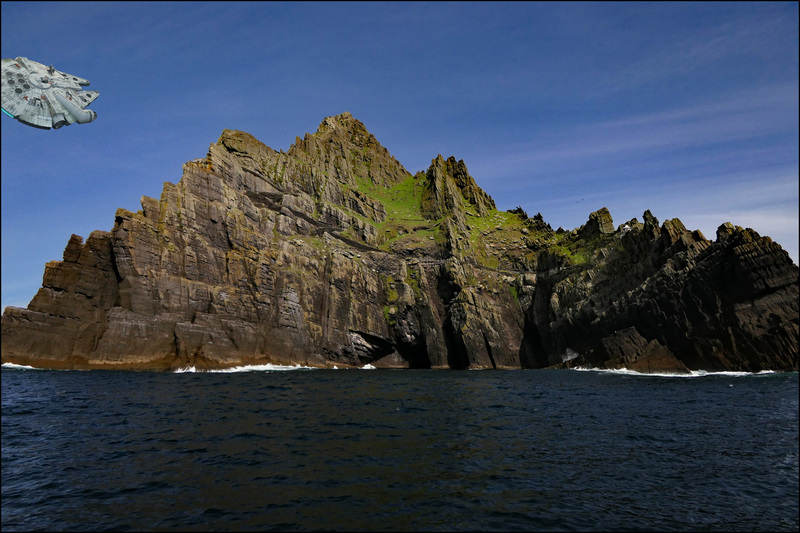 This is Skellig Michael, aka Ahch-To, home of Luke Skywalker ever since he became disillusioned with the Jedi. Today we get to find out what the deal is with that. I also have some extremely rare footage of the Millennium Falcon making its first reconnaissance of the planet. As you can see, the Force initially misled Rey into circling around Little Skellig, which is mostly home to lots of gannets and lots of bird poop. It’s only after realizing her mistake that she headed back toward the right island. However, this scene was suppressed because Jedi try to keep it a secret that the Force likes to play practical jokes once in a while.